At Rosemont Vineyards we are committed to excellence and innovation, while continuing to embrace our traditional Southern hospitality. We are pleased to share the tranquility and natural beauty of our site with you and your guests for your special event – whether that be a wedding, birthday party, corporate event or anything you can imagine! Weddings are some of the most exciting events that we do here at the Winery and we are pleased to be able to be a part of so many wonderful milestones in peoples’ lives! 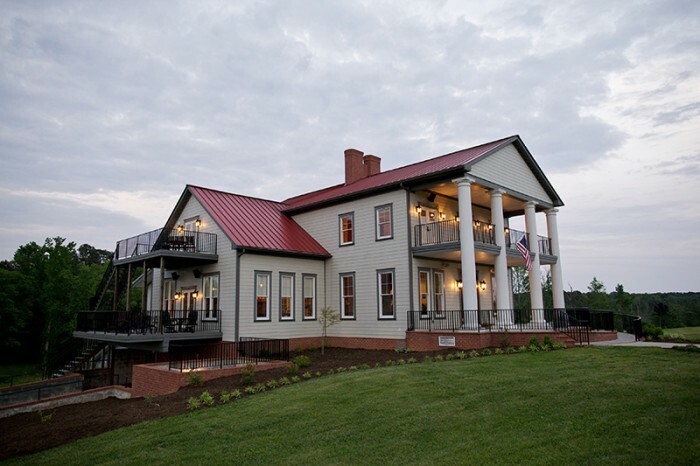 Rosemont Vineyards is one of the premiere wedding locations in Southern Virginia and we are proud to offer an intimate, elegant and relaxed setting that will help create beautiful memories for years to come. We will work with any vendor that you have in mind, or we can recommend many who have worked with us on numerous events in the past. We simply want to help you create the day of your dreams and will coordinate with you to help make it as original as you can imagine. 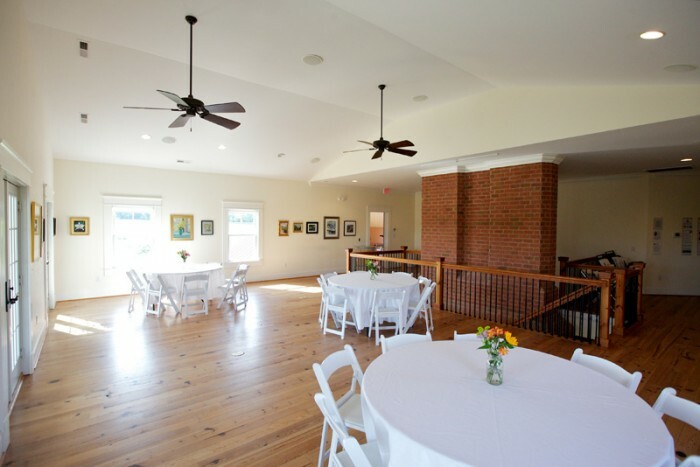 From small, intimate gatherings in our Sun Room or Art Gallery to large celebrations on our front lawn under a tent, we can accommodate your needs for up to 250 guests. Our meeting room is located on the third floor of the Winery. This quaint room is a perfect setting for any small party, such as bridal luncheons and showers or intimate family gatherings. It is set off of the side of our main Gallery area, and is attached to a private kitchen, bathroom and side porch. Rosemont’s Art Gallery is located on the third floor of the Winery. This spacious room is ideal for a number of events, ranging from rehearsal dinners to graduation parties and larger baby and bridal showers. It is also attached to a private kitchen, bathroom and front porch. 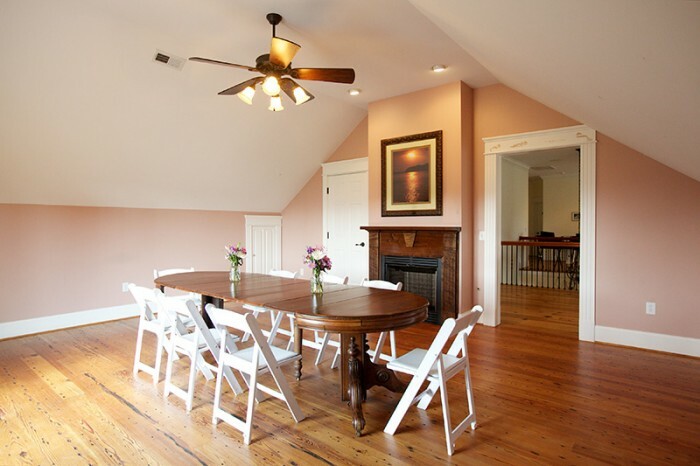 For evening rentals, the space includes our Meeting Room, side porch and Tasting Bar area as well. The Sun Room is located on the second, and main, floor of the Winery. 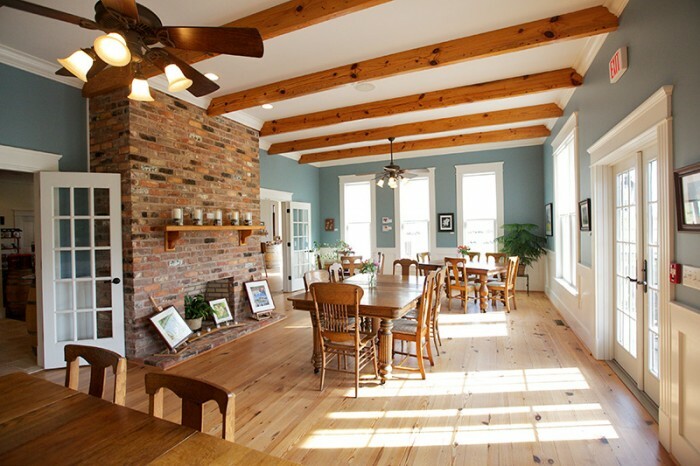 This lively room overlooks the vineyard and is ideal for intimate family dinners, cocktail receptions, birthday parties and more. The Sun Room is located just off to the side of the Tasting Bar and includes use of the Tasting Bar area as well. The entire Rosemont Winery is available for rental for big, special occasions including milestone anniversaries, family reunions, charity events or corporate functions. Renting the entire Winery includes use of all the areas listed above: Sun Room, Art Gallery, Tasting Bar area and the Meeting Room. All events are unique – that’s why we like to talk to everyone before reserving a date and space for your event. To set up an appointment to talk with us, please contact Kyndal Eggleston at 434-636-9463 or kyndal@rosemontofvirginia.com or simply fill out the form to the right. To reserve a date, a signed contract and a 50% deposit are required. The full rental amount will be agreed upon in advance by you and our Rosemont event staff.